Turtle Clean™ 75 External Canister Filter | Zoo Med Laboratories, Inc. External canister filter for turtle habitats up to 75 gallons (284 liters) in size. 265 gallon per hour (gph) rating. 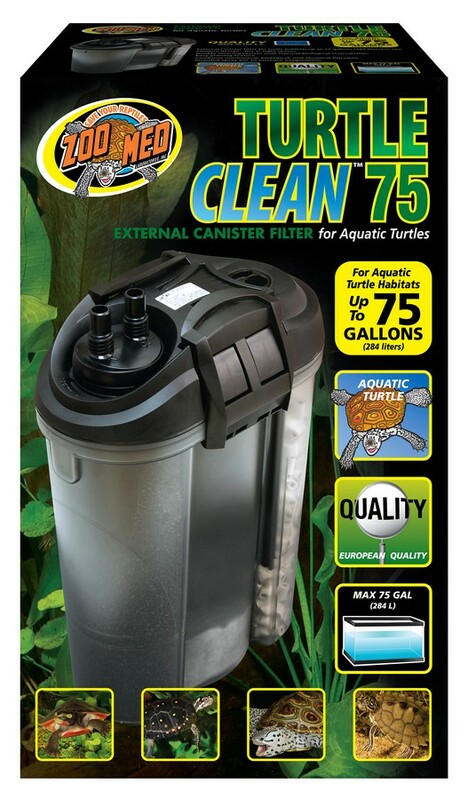 Zoo Med’s Turtle Clean™ 75 is the perfect filtration system for Aquatic turtle tanks up to 75 gallons. Here’s Ashley to help you set it up.